Find out why home and business owners in the Austin, TX area choose Absolute Pest Management for their pest control needs. For Effective Pest Control in Austin & Central TX, Absolute Pest Management is Your Best Choice! 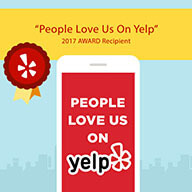 We are a local (offices in Austin and Buda) family-owned company dedicated to helping Austin homeowners and business owners protect their property from pests such as bed bugs, cockroaches, ants, rodents, termites, spiders and any other nuisances that can be hurtful to your family or your property. Whether you are looking for pest control, an exterminator, or pest management, Absolute Pest Management is the best choice! When you call Absolute Pest Management, you are not only hiring an Austin pest service company to help with your current issues. You would be hiring a whole team of professional pest exterminators that will help manage any pest issues that you or your family may encounter in or around your home. As a family-owned and run business, we take pride in assuring that we use the best products and the latest treatment methods to help deliver great results. Proudly serving residents and commercial lots of any size. Give us a try to see our pest control Austin services in action. Keep your family safe and sound from annoying pests around your home. Keep bugs and other pests from slowing down your company and office. Keep bugs and pests from ruining your apartment or duplex tenants’ day. Don’t Have Regular Pest Control Service? 5 Reasons That’s a HUGE Mistake. One of the biggest misconceptions about pests? That they only invade dirty homes. But that’s simply NOT the case—especially in humid climates like Austin and Central Texas. Many home and business owners wait until they see mouse droppings, cockroaches debris, and other signs of pests before contacting a pest exterminator. By then, it may be too late because it’s no longer a pest problem – it’s an infestation. Sorry do-it-yourselfers, but store-bought bug and rodent treatments are ineffective, expensive, toxic and can’t get to the root of the problem. All setting off a “bug bomb” does is cover your belongings with toxic chemicals, destroy the air quality in your home or business, potentially infect food and other perishables, and only kills pests at the surface of the problem. Cockroaches, bed bugs, fleas and other pesky bugs colonize in hard-to-reach places and quickly reproduce, meaning you’ll just be running to the store again and again. If you’re concerned about the dangerous chemicals in professional pest control products, don’t be. Absolute Pest Management uses environmentally friendly products that won’t harm children or pets. Let’s not forget the bubonic plague was spread by fleas on rats, and that mosquitoes carry West Nile Virus, Zika and other diseases—not to scare you or anything… While those may seem miles or centuries away, pests and rodents in your neighborhood carry real-life diseases and germs that can be harmful to humans. There’s no way to tell if a bug or rodent is carrying a dangerous disease until it’s too late, so don’t risk it and contact us today! An affordable bi-monthly, monthly or quarterly pest control package from Absolute Pest is all you need – call (512) 444-0262 now to schedule a free inspection! Almost every type of pest poses a threat to the properties they inhabit, whether it’s a squirrel in the attic or termites under the floorboards. Take control of your home, business, and valuables by signing up for regular pest control by Absolute Pest Management! The most damaging pests are often the most difficult to detect, so don’t give silverfish, termites, carpet beetles and wood-boring beetles a chance – call an Absolute Pest Management exterminator today! Almost every type of pest poses a threat to the properties they inhabit, whether it’s a squirrel in the attic or termites under the floorboards. Take control of your home, business and valuables by signing up for regular pest control. Unfortunately, the most damaging pests are often the most difficult to detect, so don’t give silverfish, termites, carpet beetles and wood-boring beetles a chance. Pest control is a no-brainer when it comes to improving your quality of life. Even a single flea or cockroach can cause huge amounts of stress and carry infectious decisions that may harm your home or business. Luckily, Absolute Pest has the perfect solution – one of our flexible, affordable pest control packages. One of our fully licensed team members is waiting to complete your free pest inspection. Call us now at (512) 444-0262 for a free pest extermination quote! We have been providing effective pest control solutions to Austin, TX and surrounding areas for almost 20 years. Contact us today to rid your home or business of annoying pests!